A family of four inch tall people live in a small house inside another normal house, the habitants of the normal house don’t know anything about the other family, only know that there pass family knew about the existing of small people in the house so they made a dollhouse in the hope that the small people could use it. 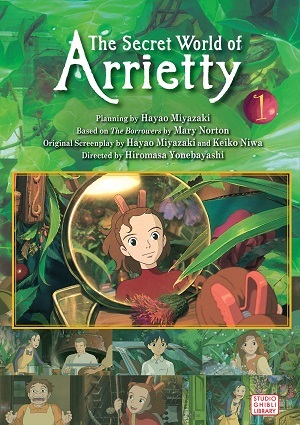 The movie fallows the story of a small boy who accidently discovered Arrietty, a girl from the small family. At first she doesn’t want to by discover by the boy but in the end they become friends.